It’s UA versus The Runway this Spring 2011 season, and we are out to match those Spring fashion trends and themes that took over the runways during fashion week! You may be thinking, since when did scrubs lend themselves to the top trends of the season, and how do they actually compare? Well, look no further, beloved UA fans, because we’ve got the hottest looks for scrubs available this Spring. Start shopping, get your look popping, because there’s no stopping you, divas of the healthcare field! Just when you thought Mad Men couldn’t get any more popular, the fashion industry took on the style of hit show. Think Betty Draper meets Marc Jacobs and you have a hit piece right there! It may not be summer just yet, but nautical stripes are a common theme for Spring 2011…especially the classic navy and white palatte. 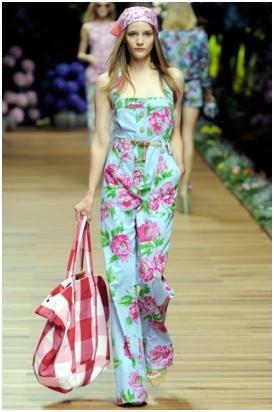 Hot on the runway for Spring 2011 were prints with roses—you love to get roses, and now you’ll love to wear them!